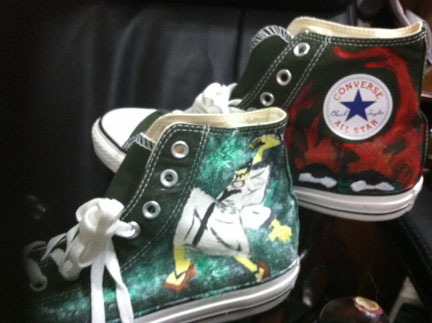 Chucks for Fiver 2013 - New Batch of Converse! We have a great new batch of Converse up for Auction this year in CHUCKS FOR FIVER! This group will be sold on Ebay, but all proceeds will still go 100% to the ALS Association of Georgia. Converse Low-Top Chuck Taylor Sneakers size 7 (Womens SZ 9). Hand painted by Lynda Wilson of Lucky Butterfly Art & Design. The art is based on her print "A Prayer for the Wild at Heart kept in Cages", featuring an orange & yellow background decorated with birds, cages, and the title. The entire shoe is painted and the effect is very bright and striking in design. 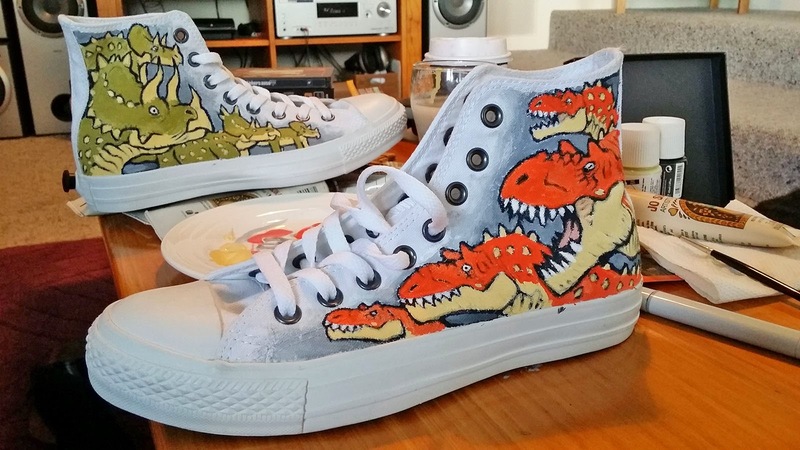 Artist Joelle Saveliev, who donated the incredible Hobbit and "Toothless" chucks that were so popular last year, has outdone herself. 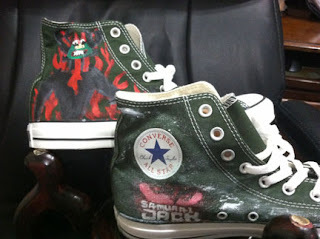 She has taken a pair of Maroon Converse and created a stylish Homage to Doctor Who. One side features a "Keep Calm and Call the Doctor" text over a swirly Gallifreyan background, and the other is the Dalek "Victory!" propaganda poster from the "Victory of the Daleks" episode. A copper pinstripe and Naugahyde laces complete the classic look. Bidding starts at $60. Charcoal Converse Hi-Top Chuck Taylor Sneakers size 10 (Womens SZ 12). Hand painted by Art Girl H with scenes from Ren & Stimpy ("Space Madness" and "Stimpy's Invention"/ "The Happy Helmet"). More of her work can be found at her website, http://www.ArtGirlH.com. 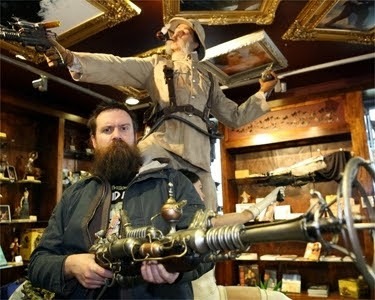 CAN YOU RESIST PRESSING THE CANDY-LIKE "BUY" BUTTON?!?!? 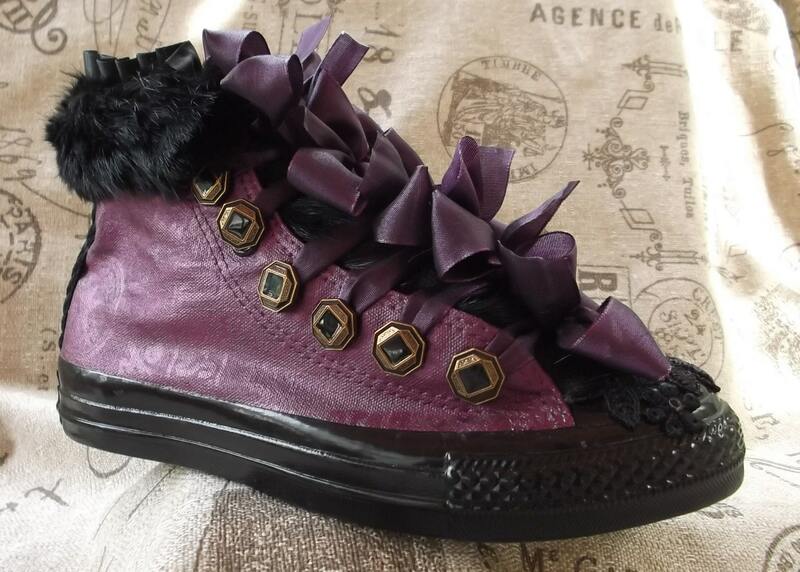 Artist Kimberly Andert, who did that amazing pair of Steampunk Chucks last year, has done an amazing job on this year's #ChucksForFiver entry-- a violet Victorian Boot with Swarovski accents! 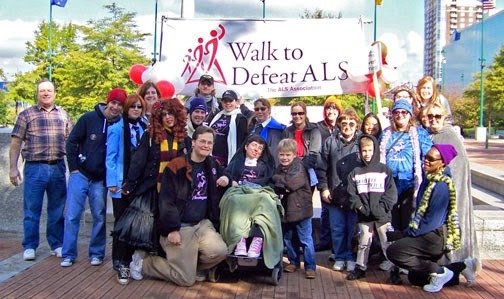 Check them out in her Etsy shop, and remember, all proceeds go to the ALS Association of Georgia. "The inspiration for these shoes is a pair of Victorian winter ankle boots. This pair is a size 6 1/2. 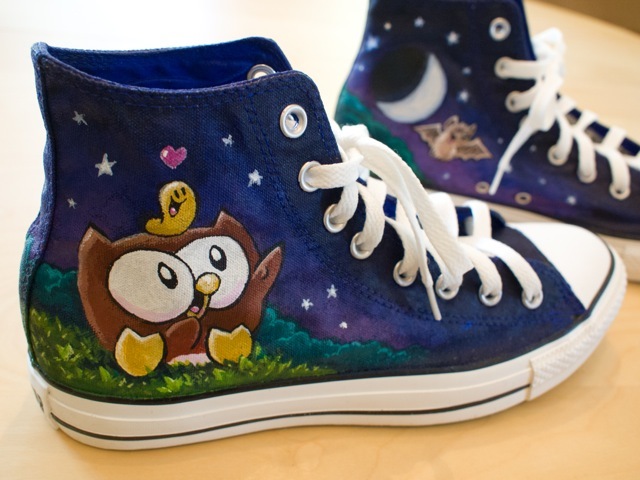 They will comfortably fit a size 6 as well. The shoe has been painted a lovely violet as a background for the lush trims. Vintage black fur trim on the tongue, ending in black Venice lace and Swarovski crystals on the toe. 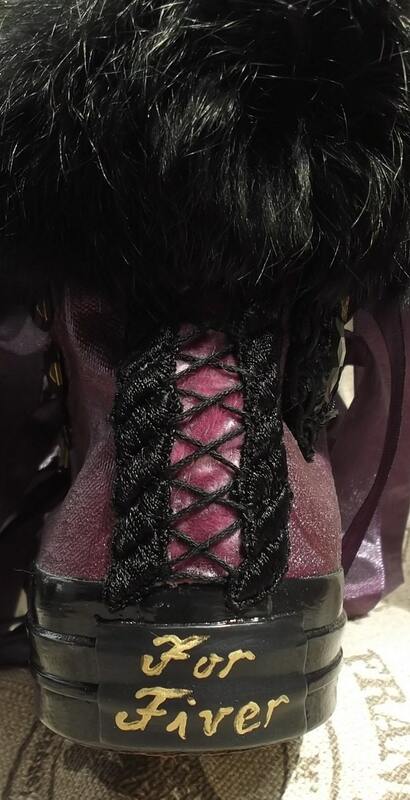 The ankle edge is trimmed in a pleated satin ribbon and more fur. The back of the shoe has a corset lacing effect, with Venice lace trim. The side of the shoe, where the Converse logo normally is, has been covered with a vintage jet bead, braid trim and sequins. The normal front lacing closure has been replaced with brass and enamel buttons and shimmery violet ribbons. The ribbons tie into bows for closure. The overall effect is feminine and lush; a mash-up of modern comfort with the ornateness of Victorian style."